While the biggest buzzword of next-gen gaming has rightfully been 4K, there is perhaps no more important technology advancement that new consoles will introduce than high dynamic range (HDR). What is HDR? Well, it is technically defined as a rendering sequence that uses lighting calculations in order to properly accommodate for expanded contrast ratios. The first thing you must understand about HDR is that it is not something that all 4K displays are capable of achieving. At present, only the highest end 4K displays are able to properly use HDR technology to maximize image clarity. To put it simply, if the display you are thinking of buying doesn’t specifically advertise HDR, then it likely isn’t compatible. For those that do have an HDR-compatible display, you are going to find that games which support this technology look more clear and colorful than you could ever imagine. Native HDR in media is a rare beast at the moment, but those few items that are capable of properly displaying the technology have all blown the viewer away with an image that looks more true to life than any before it. You know those jaw-dropping test videos you see running on 4K televisions at electronic stores? That’s HDR in action. The biggest problem with the technology right now is that there is no standard for it and there aren’t many pieces of media that support it. 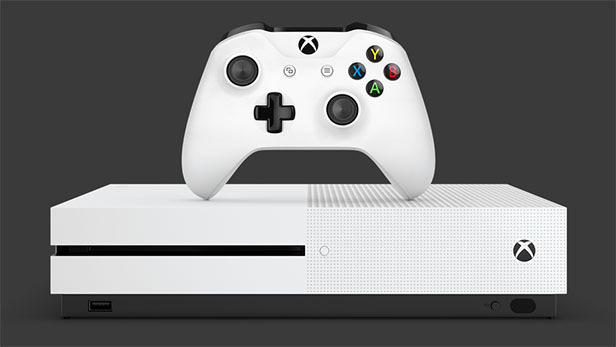 Actually, the biggest leap forward towards the expansion of HDR happened very recently with the release of the Xbox One S. This is the first gaming console that is capable of displaying 4K HDR for both games and video, making it the most versatile and affordable HDR-compatible device yet. Still, don’t expect that system to suddenly inspire a flood of HDR games overnight. Currently, there are only three games due out this year that will support the technology, and they are: Gears of War 4, Forza Horizon 3, and Scalebound. It’s possible that list will expand some, but don’t expect to see too many titles until next year. However, early adopters will be happy to know that these games are already showing off the technology’s potential. Gears of War 4 was running with HDR enabled at E3 2016, and those on hand couldn’t stop raving about its clarity and ability to maintain a stable 60 FPS throughout the demo. As for the other two titles, they are a bit more of a mystery but do appear to display similar results. The long and short of HDR in gaming is that it’s a bit too close to call whether it will become the standard or not. Those that believe in the concept, however, will find that the Xbox One S is doing extraordinary things with it right now.